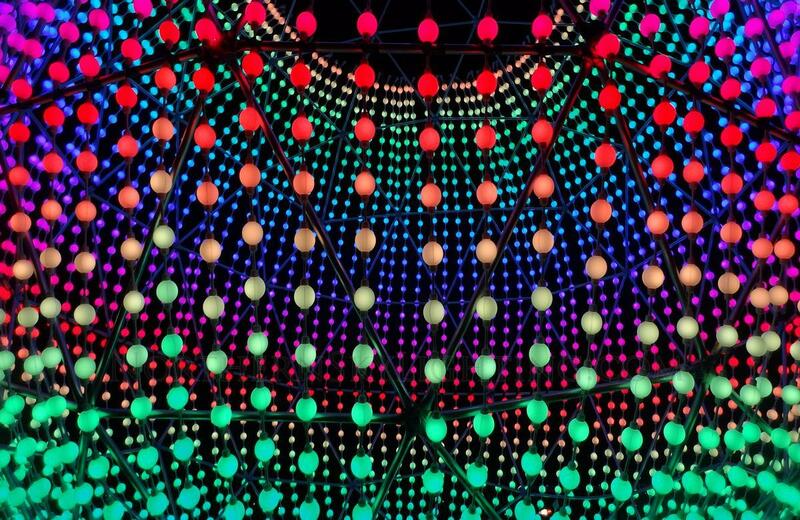 LED PRODUCTS and SHOWS featuring patterns and colors in motions designed with unlimited potential. 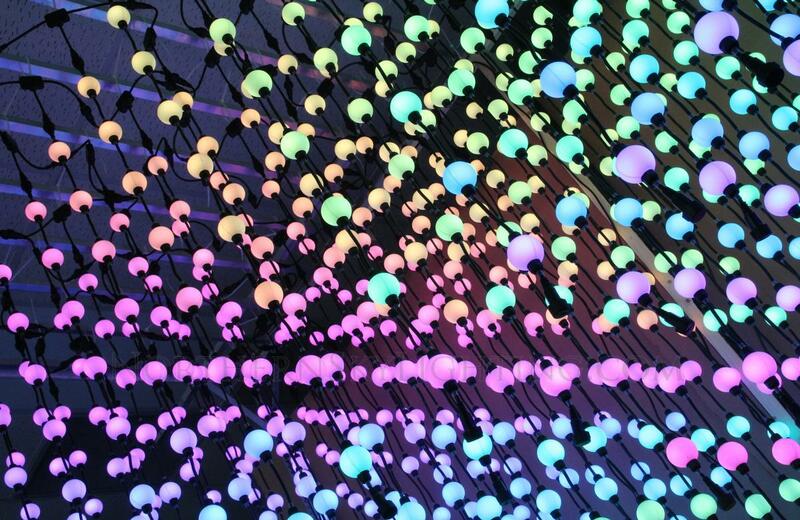 Take your event theme and move the colors thru netting of LED lights, or in dimensional structures of light. These are not random displays of light in motion, they are animated and designed to match your event. Intelligent LED displays are a brand new technology now available for special events. Click here to see interactive LED immersive displays. 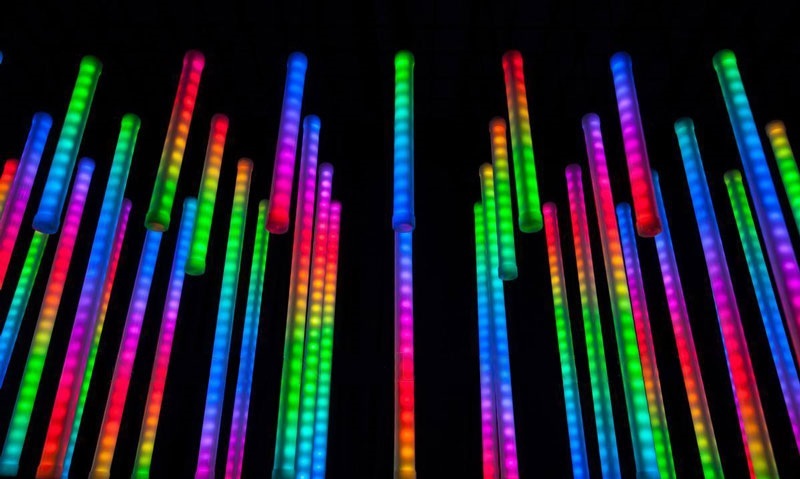 Light-up LED products of all kinds, including tubes and chandeliers, can have full programming options that bring dazzling visual impact at events of all kinds. This new technology has yet to be taken advantage of for events. 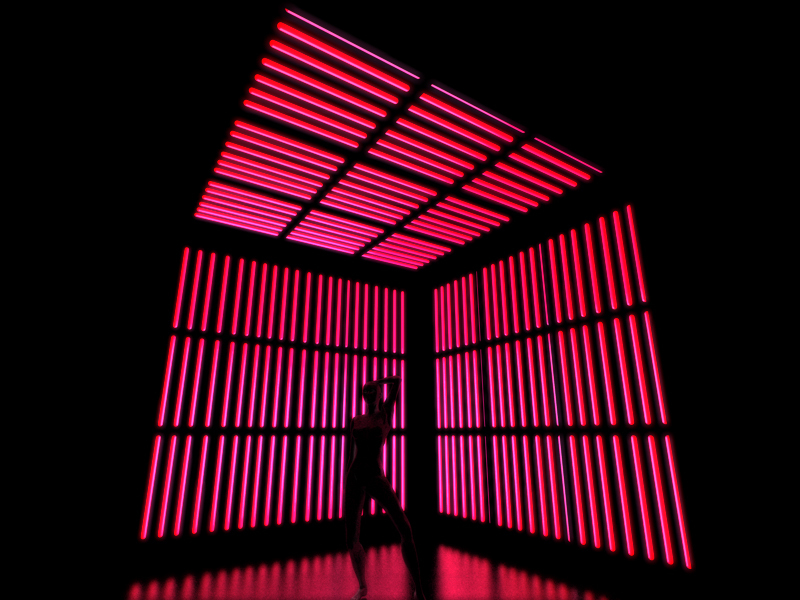 EXPERIENCE ‘cube’ and dimensional displays of light in motion! 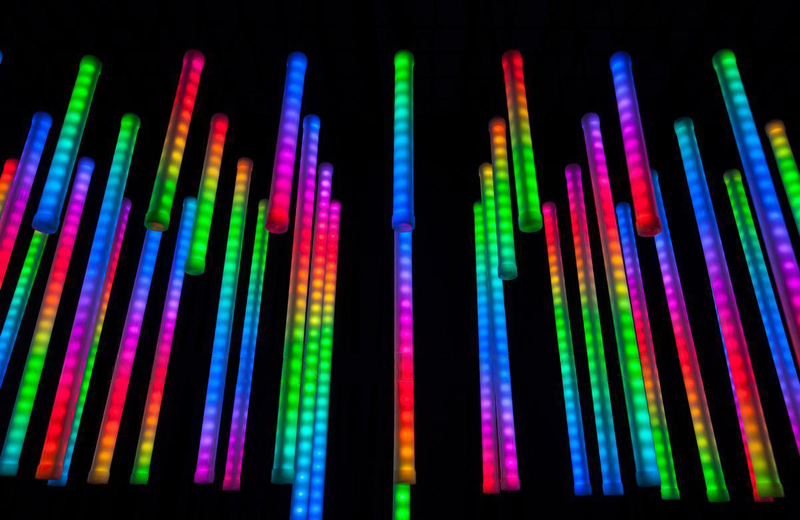 LED ANIMATION displays, such as these tubes of light that are programmed here as a show synchronized to music for a holiday display. Animation allows unlimited display options for LED displays suspended anywhere, or hanging from aerial drones, taking a visual effect to the nth level! 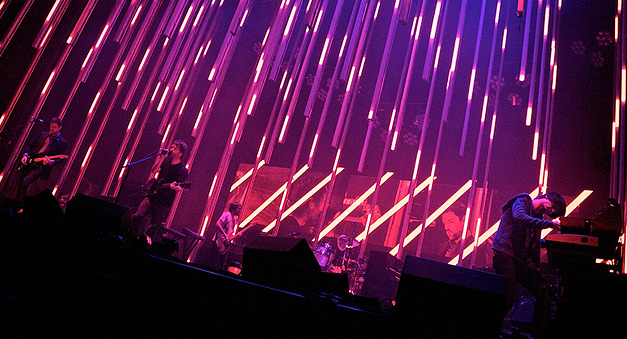 TLC Creative provides LED shows and services, as well as live special effects, and more.